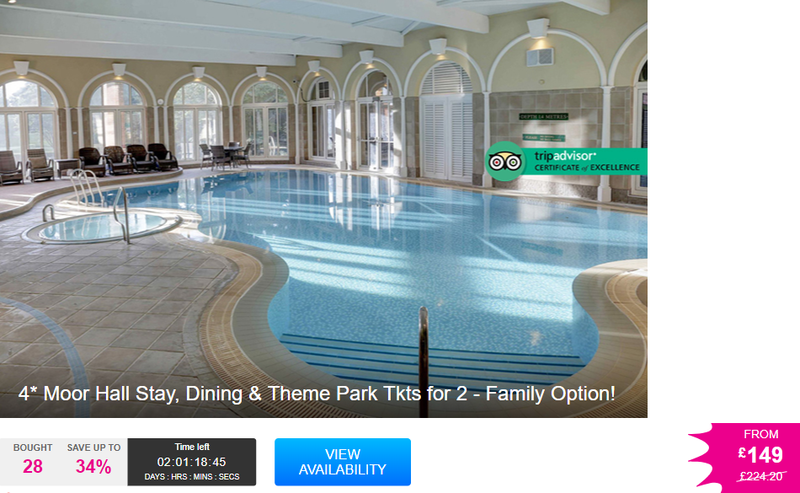 Treat the family with this great deal over at Wowcher for a fab 4* Mini break including carvery dinner, and entry tickets to Drayton Manor. Enjoy an overnight getaway for two people or a family of three in Sutton Coldfield at the 4* Moor Hall Hotel. You’ll stay in an en-suite double or family room, fully equipped with a flatscreen freeview TV, radio, hairdryer and tea and coffee, as well as Wi-Fi. 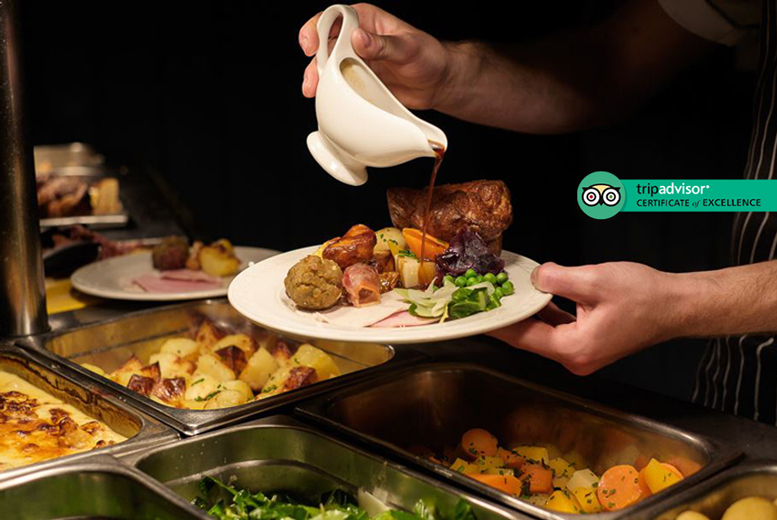 Includes a delicious three-course carvery meal, and a full English breakfast. Plus access to spa facilities including indoor pool, spa bath and sauna. 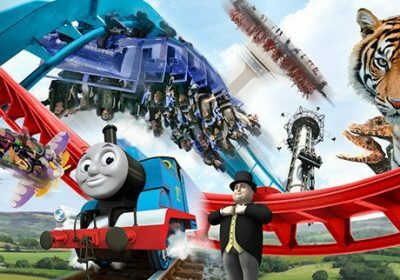 Get your thrills with tickets to Drayton Manor Theme Park – ride Shockwave, Maelstrom, G-Force and Stormforce 10 or stroll around the Drayton Manor Zoo and grounds! Awarded a TripAdvisor Certificate of Excellence and rated 4 out of 5 stars. The perfect base for exploring nearby Sutton Park, or venturing into Birmingham. With some of the UK’s most terrifying rides and set in sprawling grounds which include a zoo, crazy golf, a Thomas the Tank Engine exhibition, live shows and the Dino Trail there’s no danger of being left with nothing to do. Boasting a mammoth variety of rides, Drayton Manor is the perfect day out with everything from carousels and train rides to rapids, roller coasters and Apocalypse – once voted ‘Britain’s Scariest Ride’ by the Gadget Show! Whether you’re a hardened thrill ride fanatic or you fancy taking a leisurely drive in a classic car, there’s no doubt that a day at Drayton Manor will leave you with a smile on your face – sounds thrilling to us! Less than half an hour away from Drayton Manor by car, Manor Hall Hotel makes the perfect base for unwinding after a fun-filled day at the park. Once you’ve caught your breath, you’ll be treated to a delicious three-course meal from the set menu, starting with soup or hors d’oevres, before enjoying a delicious carvery main, or indulging in the chef’s specials, and then moving on to a choice of sumptuous desserts or a well-stocked cheeseboard, finishing with freshly brewed coffee. After this luxurious meal, you’re sure to sleep well, and in the morning you’ll enjoy a full English breakfast to get you ready for the day, although with access to the spa facilities, we don’t think you’ll be in any hurry to leave!